Geranium wallichianum is named after Nathaniel Wallich who was involved in the development botanical Garden, Kolkata. It is a perennial herb of 40-60 cm height. Leaves can vary from 3 – 12 cm, shape is orbicular and color varies from deep or purplish pink to blue with a dark violet center. 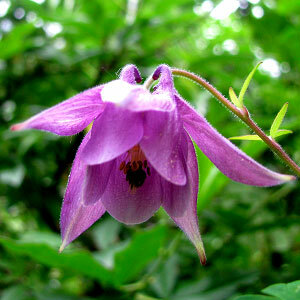 Its petals are marked with dark veins and anthers are of blackish color. 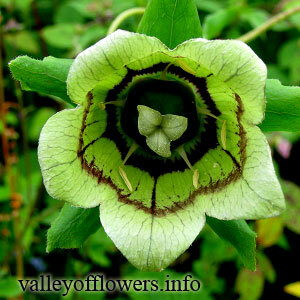 You will find it in abundance in Valley of Flowers. In fact it paints Valley of Flowers with its Blue-violet color. Geranium wallichianum is one of the most beautiful flower in the Valley of Flowers. It looks more beautiful with due drops on it (Some time you can see this even after soft drizzle in day time also.) It along with Campanula Latifolia and Polemonium paints Valley of Flowers in Blueish purple shade. 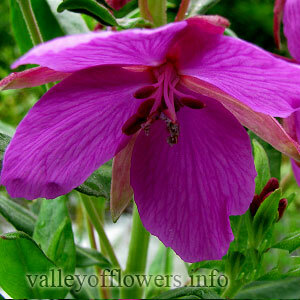 Following are some of the pictures of the Geranium wallichianum,hope you will like them all. If yes do not forget to comment or share with your friends.